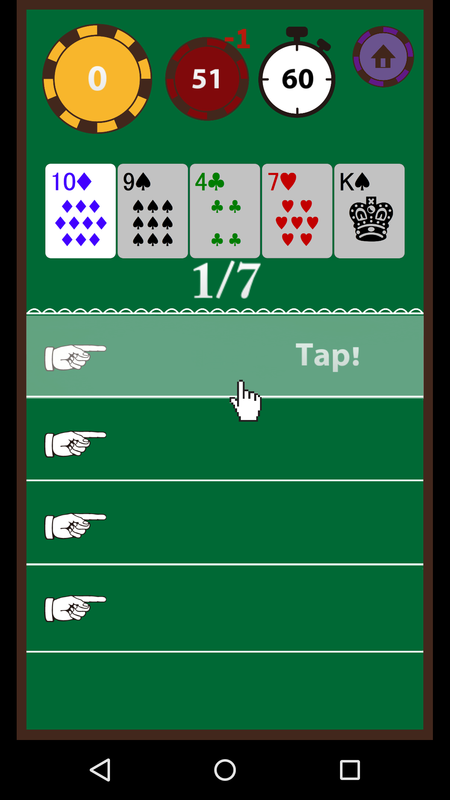 Not only is gambling addictive. 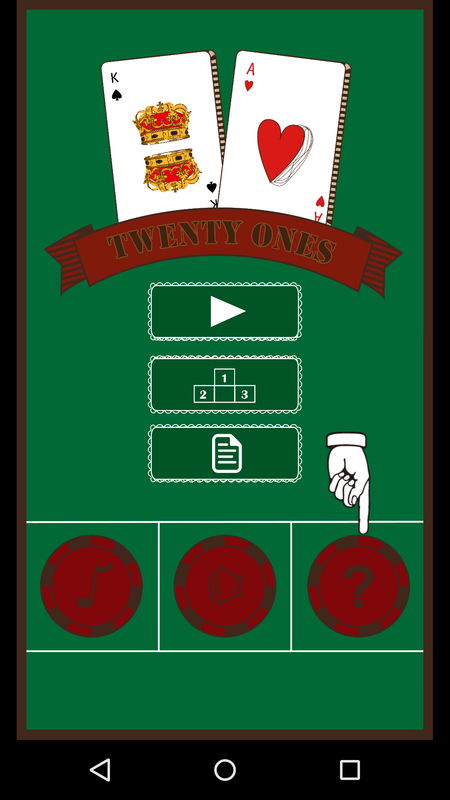 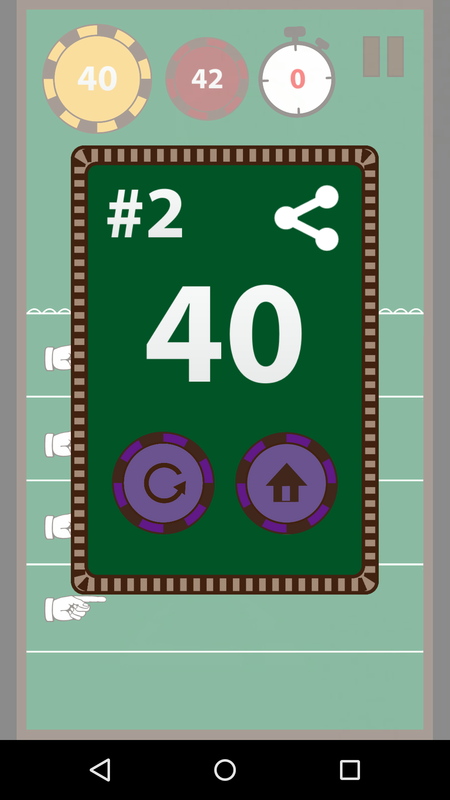 Distribute your shuffled deck of cards and get 21s! 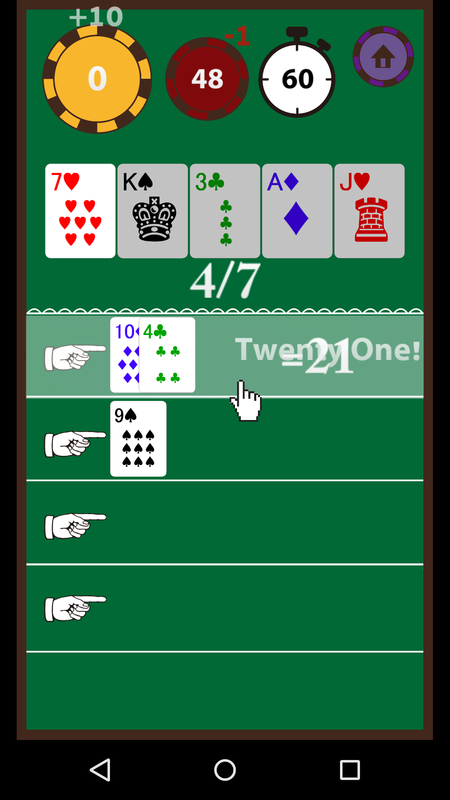 Don't get busted for exceeding 21. 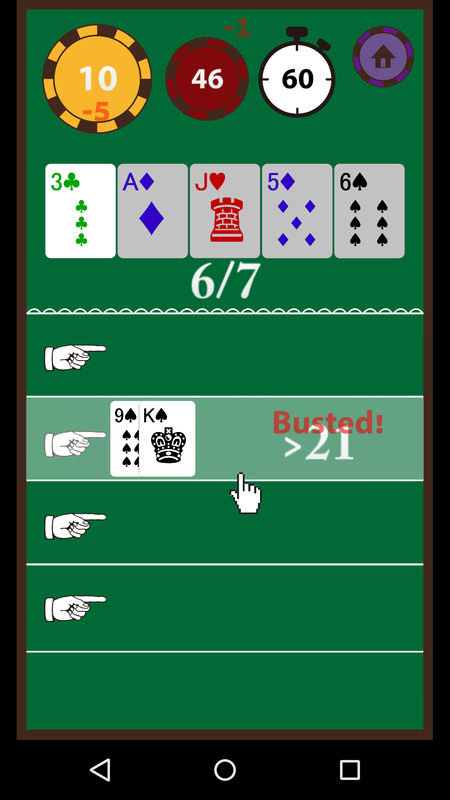 Get the special bonus for an unbusted five! 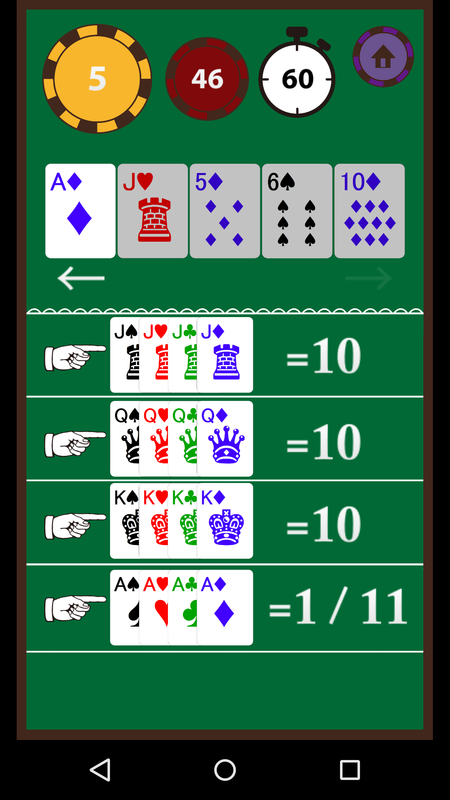 Get different scores for different card combinations! 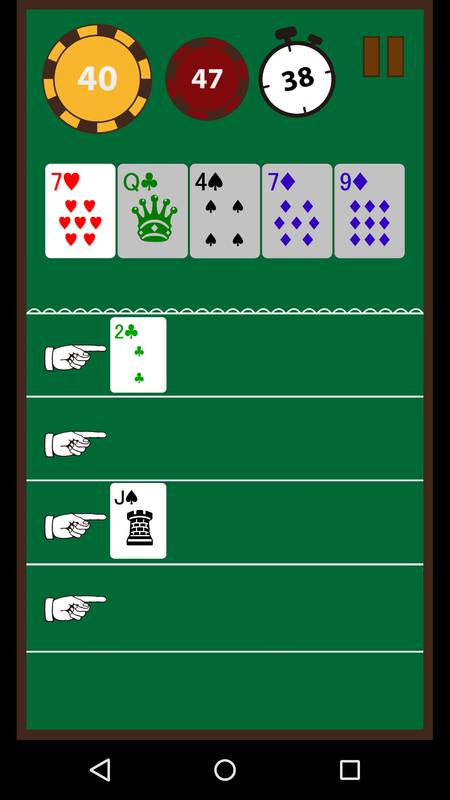 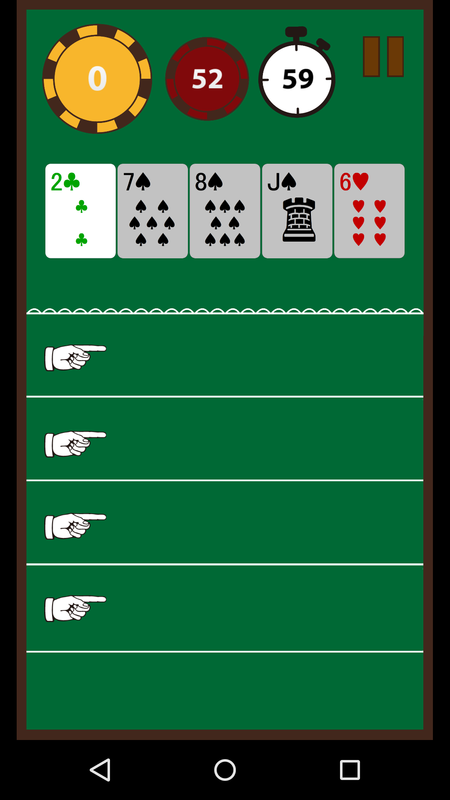 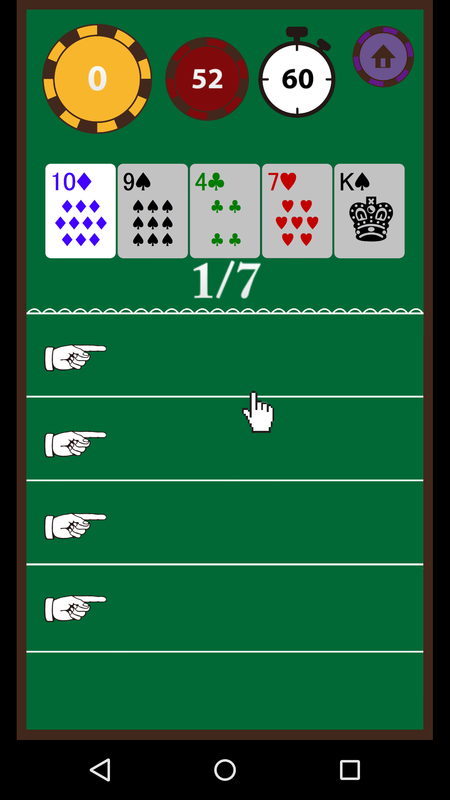 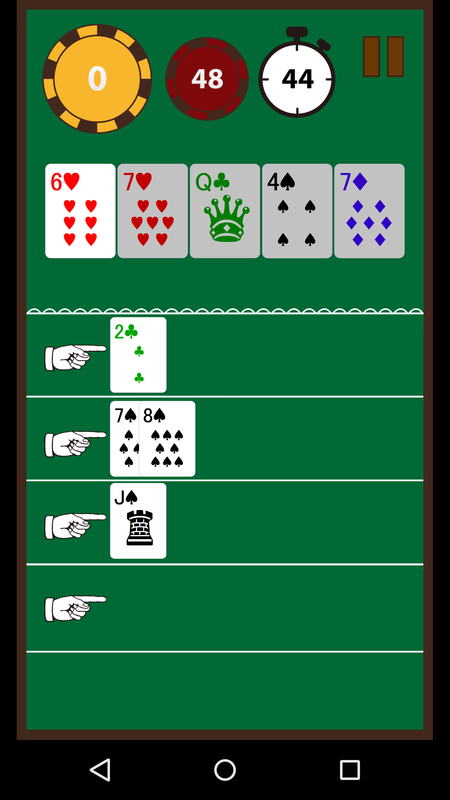 Kings, Queens, and Jacks are counted as 10; Aces as 1 or 11.